To get the elf cavalry underway I have to clear my decks. I need to strip a few of the horses but there were already a handful of figures in the stripping bowl. I spent this morning before work, removing gungy paint from the figures with an old toothbrush. 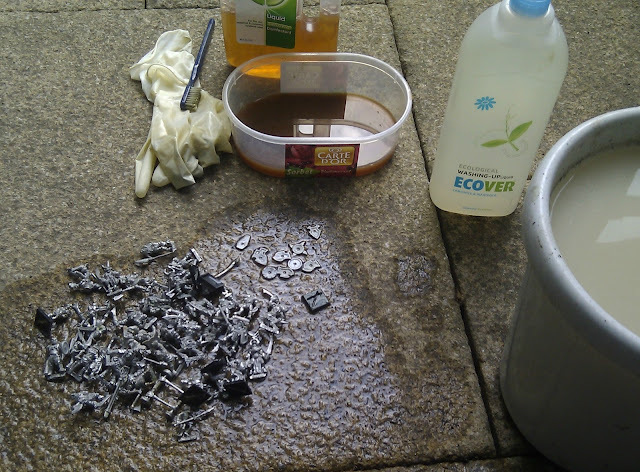 I then wash the figures with washing up liquid. The elf cavalry are now nice and happy having their own Dettol bath. They need a few days in there, so I shall try and get them stripped by the end of the weekend. 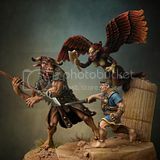 Its a stinky, gooey and dirty job, but these lovely old miniatures (citadel skeletons and chaos beastmen) wont clean themselves!